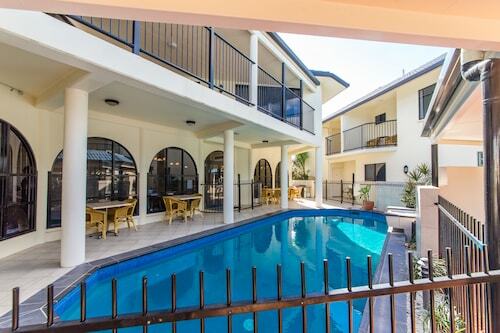 Situated in West Rockhampton, this vacation home is within 2 mi (3 km) of Rockhampton Hospital, Rockhampton Golf Club, and Rockhampton Showgrounds. Archer Park Station & Steam Train Museum and Rockhampton Botanic Gardens and Zoo are also within 2 mi (3 km). 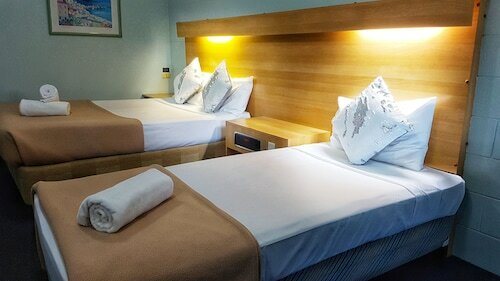 Located in the heart of Rockhampton, this hotel is steps from Pilbeam Theatre and Rockhampton Art Gallery. Archer Park Station & Steam Train Museum and Rockhampton Showgrounds are also within 1 mi (2 km). North Rockhampton Station is 21 minutes by foot. Situated in Rockhampton, this motel is within a 15-minute walk of Archer Park Station & Steam Train Museum, Pilbeam Theatre, and Rockhampton Art Gallery. Rockhampton Hospital and Rockhampton Showgrounds are also within 1 mi (2 km). Rockhampton Station is 21 minutes by foot. Located in the heart of Rockhampton, this motel is within a 15-minute walk of Archer Park Station & Steam Train Museum and Pilbeam Theatre. Rockhampton Art Gallery and Rockhampton Showgrounds are also within 1 mi (2 km). Rockhampton Station is 18 minutes by foot and North Rockhampton Station is 24 minutes. 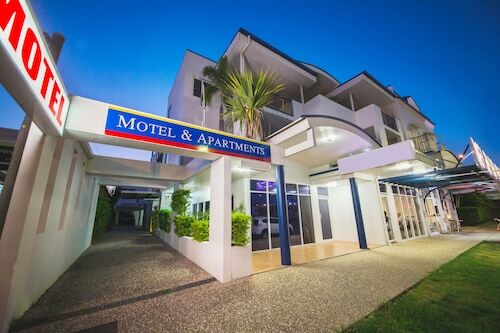 Located in the heart of Rockhampton, this motel is within a 10-minute walk of Archer Park Station & Steam Train Museum, Pilbeam Theatre, and Rockhampton Art Gallery. Stockland Shopping Centre and Northside Plaza Medical Centre are also within 3 mi (5 km). North Rockhampton Station is 27 minutes by foot. 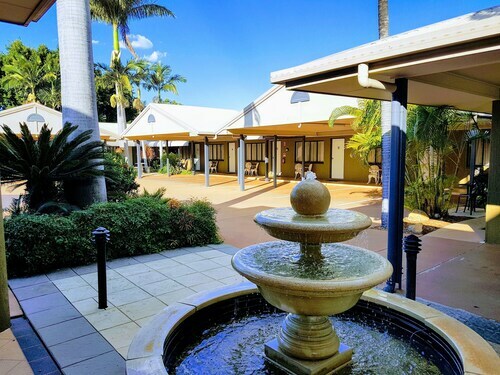 Located in the heart of Rockhampton, this motel is within a 10-minute walk of Pilbeam Theatre, Archer Park Station & Steam Train Museum, and Rockhampton Art Gallery. Rockhampton Showgrounds and Rockhampton Hospital are also within 1 mi (2 km). North Rockhampton Station is 27 minutes by foot. 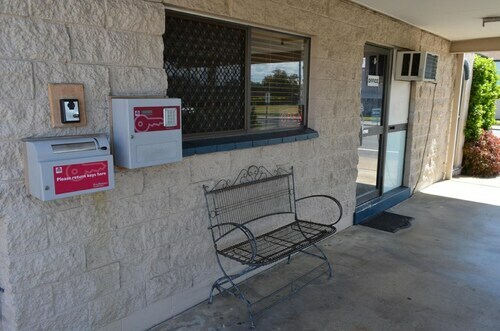 Situated in Rockhampton, this motel is within 1 mi (2 km) of Archer Park Station & Steam Train Museum, Pilbeam Theatre, and Rockhampton Art Gallery. Nissan Navara Arena and Rockhampton Hospital are also within 1 mi (2 km). Rockhampton Station is 15 minutes by foot and North Rockhampton Station is 28 minutes. 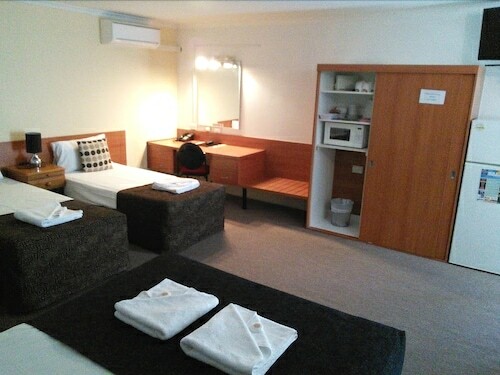 Situated in Rockhampton, this motel is within a 15-minute walk of Pilbeam Theatre and Rockhampton Art Gallery. Rockhampton Hospital and Rockhampton Showgrounds are also within 1 mi (2 km). Rockhampton Station is 24 minutes by foot.